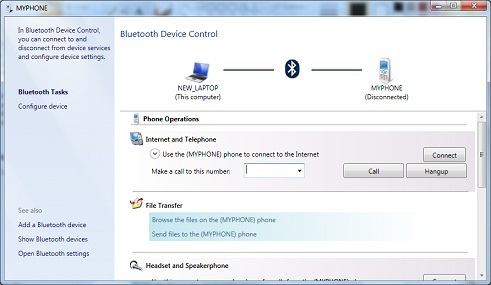 How do I verify the Bluetooth connection to my Samsung SGH-A777 cell phone on my Windows 7 computer? The Bluetooth connection was completed successfully. 1. Go to "Control Panel > Hardware and Sound > Devices and Printers". You will see your cell phone is represented as icon named as "MYPHONE".